Since you are talking about the IRS rather than the Canada Revenue Agency, I must assume that you are from the US. Running a site selling products really isn’t much different from having a physical store. You simply have to arrange for delivery of all of the items that you sell. Get a shipping account with the post office and a reliable courier to facilitate this. If you operate the business under a different name from your own personal name, and if the rules in the US are anything like they are here in Canada, then you should register your business name with state authorities. 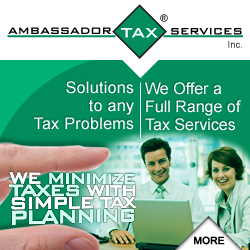 Make sure that you have all of the tax accounts that you will need. If your state has a state sales tax, you will need an account for that. If you are selling a significant amount of product into Canada, you will need to also register a Canadian GST/HST account and charge sales tax to your Canadian customers. Secure all of the domain names that you think you will need and get a good web design company to make you a nice, efficient and stream-lined store website. You might also consider registering some trademarks to protect the name of your business and your web URLs.